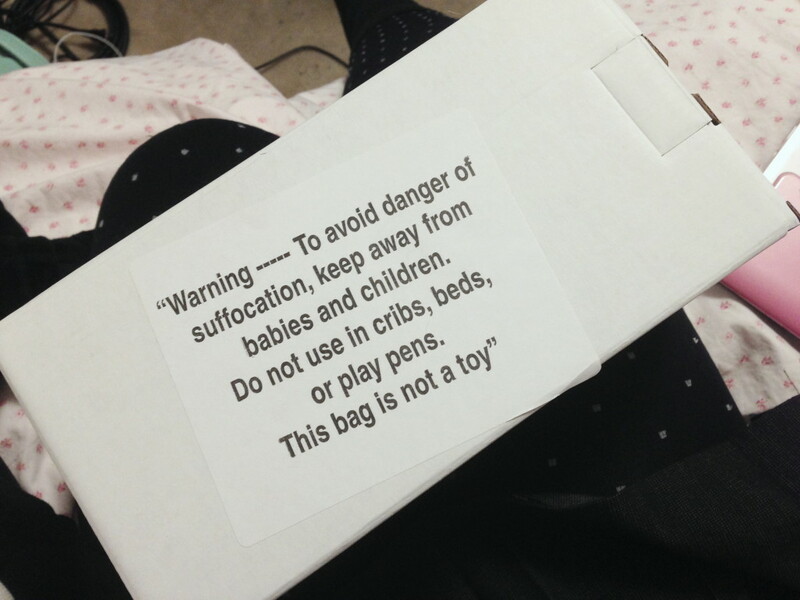 This warning sticker was attached to a box I received. There was no bag on it, or in it, that should have had this warning. I don’t know if this box will one day transform into a plastic bag that could cause suffocation, but….